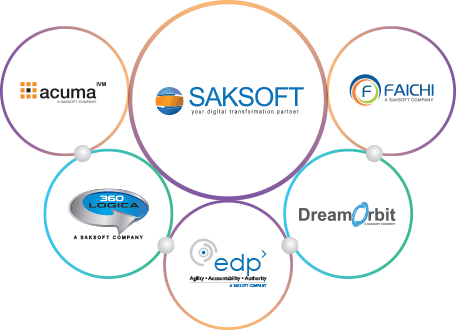 Saksoft’s String of Pearls strategy has helped us address our customer’s expectation of a niche IT service provider with stability. While the individual smaller companies in our group provide us the Inch wide mile deep focus, the collective strength of our group gives the flexibility and required scale to be considered a Digital Transformation Partner of choice by our customers. The rapid improvement in technologies especially in Social, Mobile, Analytics and Cloud (SMAC) has been constantly reshaping and leveling the playfield. These digital disruptions have forced organizations to relook at their products, services and business models to stay relevant and stay ahead of the newer agile competition. Innovation in healthcare technology has led to rising of new technology products and better patient care.